I watch women tell their stories and I’m in awe of their strength to tell them. To share their most private hard stories in hopes that if enough women stand up and demand change, that change will happen. A change that means men will no longer get away with treating women the way they’ve treated them throughout history. When I look around at the adoptee bloggers the lack of male voices has always struck me. I wish there were more male voices, but here are a few you might not know that are worth checking out. A Stroll Through My Mind – Kumar was adopted from India and always makes me think. Gregory Luce – New to me, have thoroughly enjoyed his thoughts. Korean Adoptee Blues – hasn’t updated in a year but his words make you feel his emotions. My Mind On Paper – I read Kevin’s blog long before I worked up the nerve to start this one. A Story with No Beginning: A Late Discovery Adoption Journey – the name really says it all. The link takes you to the start of his journey. Feel free to link other male voices in the comments. Oh, and one day soon, I’m going to update the list of blogs, remove those gone, note last updates, etc., just have been overwhelmed, nor the patience or time it takes to do it. I’ve been mulling on the reactions by the public, not only to the author of the article in my last post, but other recent articles written by, or about, adoptees. The solution is to change the public view of adoption. 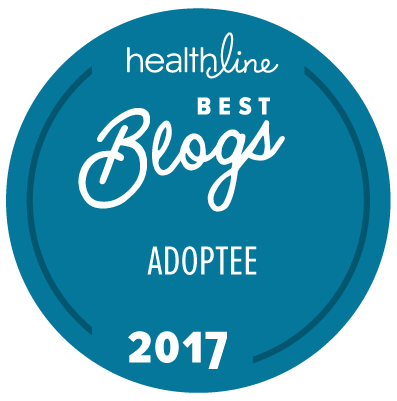 If it can be done, it will take honesty from the entire adoption community. Right now, how the public sees adoption isn’t real. I can see why they view it that way, when an article has a title about taboo topics of adoption, when it isn’t anything close. The title intrigued me, so I read it, if those topics are taboo, then I now understand why anything hard in adoption is met with such dismay. Dismay may be putting it too mildly, perhaps running screaming in the opposite direction is more realistic. How can we ever hope to get the public to understand that adoption is complicated for the adopted person when people inside of adoption, think these are taboo topics in adoption? Why would an adoptive parent say this? If you are an adoptive parent, or want to adopt – please, please, stop telling adoptees they should be grateful they weren’t aborted, or the dance around the subject using words like she chose life. Either statement can be equally damaging to a person’s ego, self-image, self-esteem. It’s just plain mean-spirited to tell a child (or adult) they should be grateful they weren’t aborted, regardless of how you word it. It doesn’t even matter what the mother intended (or didn’t intend to do), and I’d note that unless you were that child’s mother you have no clue, it’s presumptuous to assume that abortion was even a consideration.